Iceland has resided firmly at the top of many traveler’s to do list since it burst onto the scene as Lonely Planet’s Top Country to Visit in 2012. And 6 years on, it is still a dream destination for most people! 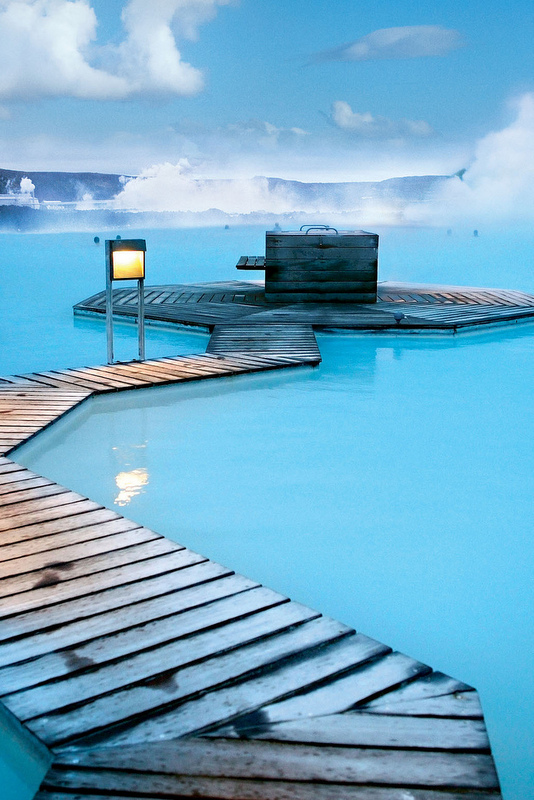 Boasting amazing landscapes, geothermal pools, black sand beaches and glacier lagoons (to just name a few! ), it is the country that has something for everyone. With so much on offer, it’s hard to know where to start, so I thought I’d put together a list of the best places to visit, top things to do and absolute Iceland highlights – and included their off the beaten path alternatives to the main tourist sites to help you get the most from your trip! You can’t go to Iceland and not go to the Blue Lagoon. Now affectionately thought of as one of the wonders of the world, it’s the most famous swimming pool in Iceland and it was formed in 1976 during an operation at the nearby geothermal power plant. In the years that followed, people began to bathe in the unique water and apply the silica mud to their skin, and today it is Iceland’s number 1 tourist attraction and an absolute Iceland highlight and one of the top Iceland things to see. 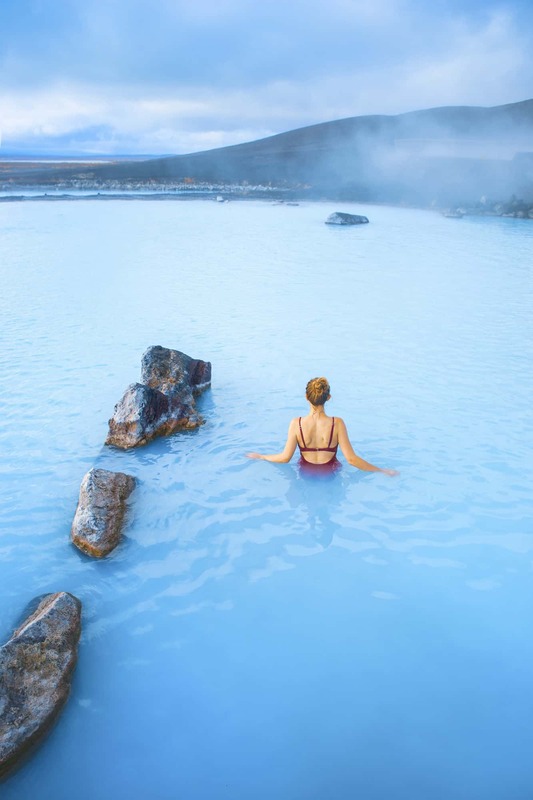 Mývatn Nature Baths are located in north Iceland and are home to water just as blue and milky as the Blue Lagoon near Reykjavik! Mývatn Nature Baths are less expensive and less crowded making them a more magical option for photographers looking to shoot the hot springs in Iceland. I can’t imagine a trip to Iceland would be complete without watching this amazing natural light show. I’d always book a Northern Lights Tour for something like this – as they will know all the best spots and help maximize my chances and it is certainly on of the top things to do in Iceland. OK, the Bubble Hotel Iceland it’s not a true alternative – the closest thing to an alternative for the Northern Lights is the Southern Lights down in Tasmania (but they’re a bit far to go for the purpose of this post!). But who wouldn’t want to stay in a glass bubble and watch the lights dance above you throughout the night? Gullfoss Waterfall – or Golden Waterfall – is an iconic waterfall of Iceland offering a spectacular view of the forces and beauty of untouched nature. Gullfoss is part of the Golden Circle tour, located in South Iceland on the Hvítá (White) river which is fed by Iceland´s second biggest glacier, the Langjökull. The water plummets down 32 meters in two stages into a rugged canyon which walls reach up to 70 meters in height. On a sunny day shimmering rainbow can be seen over the falls. Access is via easy hiking trails which run alongside the water. The world-famous Reynisfjara shore, near the village Vik in Myrdalur on Iceland’s South Coast, is widely regarded as the most impressive black-sand beach in Iceland. Skaftafell ice cave Vatnajökull National Park is located on the frozen lagoon of the Svínafellsjökull glacier. The centuries old ice coming down the slopes of Öræfajökull via Svínafellsjökull glacier has metamorphosed into highly pressurized glacier ice that contains almost no air bubbles. The lack of air means that it absorbs almost all visible light, apart from the blue fraction which is then visible to the naked eye and is absolutely stunning! Not a man-made sculpture, the basalt stack known as Hviterskur sits on Iceland’s Northern coast – and should be on everyone’s Iceland To Do List! The Peninsular is one of the hidden gems Iceland and is a magical place where the wild horses out-number the local population, and where one of the largest seal colonies parade along black sand beaches. It’s one of the Least Instagrammed Places on Earth – and I’m sure it won’t stay that way for long! On the Saturday of Nov 24, 1973 a United States Navy airplane ran out of fuel and was forced to land on Sólheimasandur’s beach in the south of Iceland. The crew survived the landing and the airplane’s remains are still at the crash site. This is another very popular Instagram spot for travelers. Every few minutes within the Golden Circle you can see the Strokkhur Geysir spout boiling water up in the air. These powerful earth burps can sometimes shoot as high as 100 ft above the ground. Also cool to see are the boiling mud pits below. If you’re going to treat yourself, Hotel Ranga is the place to do it. Beautiful rustic cabin-style rooms, three separate jacuzzis from which you can watch the Northern Lights, and a gourmet restaurant (can you say, reindeer carpaccio?!). Iceland is a leader in producing the energy consumed in the country using geothermal means, and this powerplant is just one that harnesses nature to provide power to homes in Iceland. In the Spring you can take a take of the plant, but in the mean time you can still drive up to the plant and see it at work. The first Búðakirkja was built on the spot in 1703, but was eventually deconstructed due to the area lack of parishioners. The current church was reconstructed in 1987 after a single member of the church lobbied to have the chapel brought back. It has a historic graveyard as well as relics such as a bell and chalice from the time the church was first erected. However its pure black paint job and isolated location are the real attraction to the site. Even if you don’t decide to stay in Reykavik, every first time visitor should consider at least a half a day trip to Iceland’s capital city. With its a multitude of delicious restaurants, an opera house and its iconic church – the city is far from sleepy… especially on a Friday night when many Icelandic bands play live in the bars!